Jess Glazer is a Manhattan-based personal trainer, group instructor, gymnast, fitness competitor, eating disorder survivor, self-love junkie, motivator, vegan since '03, and founder of “FITtrips”. Originally from New Jersey, Jess grew as a competitive gymnast and has over a decade of experience dealing with injury prevention, rehabilitation, body image barriers, and goal setting. She studied Physical Therapy at The University of Rhode Island and graduated with B.S. in Kinesiology. Jess has worked as a personal trainer, group fitness instructor, and gymnastics coach since 2002. 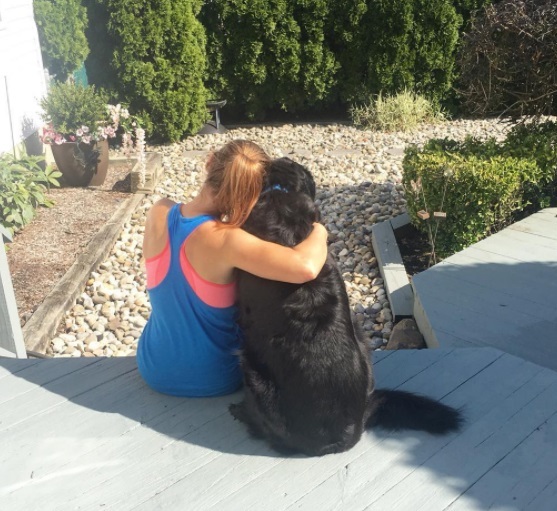 She spent the last eight years working as an elementary physical education/health teacher where she continued to share her passion for health and fitness. Her signature teaching style was incorporating daily mindset practices and positive self-talk with all of her students. Jess is a firm believer that happiness, transformations, and success all starts in the mind. Jess is dedicated to helping inspire, motivate, and educate others on the importance of loving your body, moving your body, and building your best self through living a healthy lifestyle. She believes that the best version of you is the strongest and healthiest version of you! I think I do a lot of things well; however, I’m not sure I can say that I do anything the best, other than be myself. What you see is what you get. I can remember times in my past where I tried to fit in. I think we all did at some point through middle school and college, but as much as I tried I was never fully happy or comfortable. So I gave up and decided to just be me. I am my authentic self everyday, whether it’s via social media or in person. I have been working on myself for years, from the inside out and “me” is something I still work on and focus on everyday. I can confidently say that I am me better than anyone else and I am proud to be me. My hope is that by being my best self and sharing my knowledge/experiences I can motivate and inspire others to be their best as well. We all have a past and I’m a strong believer that our past struggles, as well as achievements build our character and help guide us down our current paths. That being said, I struggled with bulimia and an addiction to diet pills/fat burners/laxatives for nearly a decade. The worst part wasn’t even the harm I was doing to my body, but rather the destructive, toxic thoughts I was filling with my brain on a daily basis. Through years of outpatient therapy, tons of self-development, and hard work I was able to overcome my darkest days. Throughout my life I have always turned to fitness as an outlet, an escape; it is my therapy. Even as a child going to gymnastics practice every night was my happy place. I have always found comfort in the gym, pushing myself physically, the feeling of being sore, and testing my strength. I guess it makes me feel alive! Over the years I have shifted my focus to loving myself and my body for what it was capable of doing, not how it looks. For the last decade I have become a total self-love junkie. I have found the power and strength behind having a proper, positive mindset. The best version of myself is the healthiest and strongest version of myself! My passion is teaching others how to love themselves, find their inner strength, and go after their lives with a positive, healthy mindset. In coaching others how to live their healthiest lives, I have been able to hone in on the best version of myself; a constantly growing, ever changing, and evolving woman. My past shaped me, built my resilience, and lead me down a path that allows me to live helping others, fueled by passion and purpose. How can I possibly write my personal/business goals and ambitions with a few small paragraphs. My goals are that of a laundry list, a list which I see everyday when I wake up and go to bed on my vision board which sits next to my bed. Ultimately, I want to inspire, motivate, and educate others on ways they can live their healthiest and happiest life through finding self-love and understanding for what it means to be healthy. Professionally: A little over a year ago I started a company called “FITtrips” (Friendship Inspired Training). FITtrips are monthly fitness based field trips where women can build friendships, muscles, and memories. They were designed to help us get more comfortable stepping out of our comfort zones and trying new things. FITtrips offer a non-threatening, high energy, judgement free, and incredibly motivating environment for women of all ages and fitness levels. They are special days each month where we get to take a step back, focus on ourselves, bond with like-minded women, and celebrate crushing our fears. Every trip starts with a sweat dripping workout (different studios/styles each month) to break down our barriers and then are followed up with a catered healthy brunch where we have time to let loose and mingle. My goal for 2018 is to take FITtrips abroad and host full health/wellness camps. Eventually, I would love to rent out a cruise ship for an entire week long health/wellness cruise packed with various workouts, cooking seminars, meditation sessions, motivational speakers, the works! I want to continue to grow a community of women, for women, where we can come to find support, motivation, inspiration, and friendships. I also have plans for tapping into more online coaching (fitness and nutrition) and starting to incorporate more nutrition based guidance. With my 15 years of expertise eating a plant based diet and I know I can help others have a better understanding of how/why, as well as, give great tips, recipes, and coaching. Plant based eating is booming right now and I’m constantly being asked for help, so I think it’s time I turn my everyday lifestyle into something where I can support others on their journey. As far as other business goals; well, everytime I seem to check something off my vision board I also add a handful of new things! Just a few dreams I’ve had for a while and haven’t checked off my board yet: working with a large fitness apparel company, having a large platform to help others, gracing the cover of a magazine, creating, planning, and running large health/wellness retreats/camps/events, and collaborating with some of the fitness industry professionals whom I admire and aspire to be like. Personally: I want to continue pushing myself physically, changing up my workouts, staying motivated by entering competitions/races, and trying new activities. I’m currently focusing on creating habits that last more than a week or two; for example, implementing a gratitude practice to everyday, reading more, setting aside specific time for social media instead of mindlessly scrolling, continuing to eliminate negative self talk, and mindfully eating well without stressing over food choices. I want to continue making time to spend relaxing and unplugging, it’s so easy to get caught up in the daily grind, we often need to set aside specific time for friends/family/and ourselves. My husband and I are consciously trying to plan for taking at least two vacations every year. It is so important to take that time for ourselves and also our relationship. I want to continue pushing myself outside my comfort zone, attending events (even when I’m alone), networking with people in the industry, and taking my life to the next level (both personally and professionally). I have already spoken about overcoming my eating disorder, but it would be nearly impossible not to mention this again as a huge success. There is nothing more important than being healthy because without our health we have nothing. Like all of you, I have had more than one challenging moment and that’s totally okay. Health issues aside (my own and family members) I without a doubt would have to say my most challenging moment was just recently. For the last eight years I worked as an elementary school physical education teacher in New Jersey and absolutely loved my job. I loved my students, loved teaching, loved passing on my knowledge/experience on all things health/fitness, and yes, loved having summer’s off. That being said, over the last two school years I wasn’t feeling fulfilled. In addition to teaching full time I was also coaching high school gymnastics, working as a personal trainer/group fitness instructor after school, training some online clients, growing my network marketing team, and pouring my passion into starting FITtrips. I managed to be doing all the things I loved, but felt as though there was a ceiling holding me down. I couldn’t see myself staying in the school system, getting older, starting a family, and one day retiring in the same gymnasium I started working in during my twenties. So, after months of planning, contemplation, sleepless nights, and stress I finally made the decision to leave teaching. The craziest part, I had nothing set in stone or lined up for when I left. I knew what I wanted to do, I knew what I was capable of doing, and I had plans to get there; however, it was one of those situations where I had to take the leap first and then figure out how to fly. Fortunately I had the support of my husband, parents, and close friends who all pushed me to jump. Two weeks after winter break I walked into my Principals office to tell him I would be leaving, my husband and I would be renting out our house we owned in NJ, and we would be moving to NYC. As if that conversation wasn’t hard enough, we had to keep it a secret from the staff and students for another two months until my official letter of resignation was not only handed in, but accepted at the board meeting. Who leaves a perfectly stable, comfortable, tenured job as a physical education teacher with incredible benefits, a ten minute commute, and the ability to wear sweats to work for the unknown? It’s been five months since I left my job, picked up our life and moved to the big city to pursue my dreams and I can honestly say, I’ve never been happier. The adjustment has felt more natural than I could have ever imagined and everything seems to be falling into place (with lots of hard work and hustling), so I know that I made the right choice. Just because something is hard doesn’t mean it’s not worth it. You’ve heard it before and you’ll hear it again, a comfort zone is no place to grow and I’m on a mission to continue stretching, reaching, and growing. I believe that the universe has your back, but you need to be willing to put in the work and I truly try and let fear by me guide. I don’t think we should run away from fear (unless of course it’s innate fear warning us of danger ahead), instead we should run towards it because the things that often scare us the most are the same things that will help us grow. I try to get out of my comfort zone as much as possible and am always encouraging others to do the same. Comfortable is nice, but it’s also boring, and doesn’t move you forward. We need to constantly be pushing ourselves forward in order to reach out goals and live an exciting, fulfilled life. I’m also a firm believer in the power of mindset and importance of self-love. Over the last few years I have made a conscious effort to practice gratitude and self-love daily. Whether it’s writing down things I’m grateful for, reading books filled with positive mantras, wearing a rubber band around my wrist that I can snap when I think negatively (to snap myself out of it), or even listening to uplifting podcasts; I immerse myself in positive mindset practices. I know firsthand how truly powerful these two things can be. In order to be our best self, we need to be our strongest self; physically, emotionally, and mentally. My favorite people are my tribe; my parents, husband, brother, and best friend. They are my people. They have always been there for me; pushing me, supporting me, believing in me, and encouraging me. I’m very lucky to say that my family is very close and both my parents and older brother have always been incredible role models for me. They’ve taught me how to work hard, overcome obstacles, to fail, to succeed, the list goes on. They help shape me everyday and I admire all of them greatly. In terms of business, I have a handful of people I look up to. There are certain authors I read, podcasts I listen to regularly, social media accounts I follow, and speakers that I love. I take little nuggets from each other them and apply them to my life as needed. Although, I have found that as time passes and my business and I grow, my focus often shifts to different leaders because their information/voice becomes more relevant and resonantes better for me at that current time. I don’t think that’s uncommon, it’s just part of the journey. At this moment I really love what the Tone it Up girls (Karena Dawn & Katrina Scott) have built; not just a health/fitness empire, but an incredibly loving and genuine community. I’m fortunate enough to be mentored and coached by Chris Harder, Lori Harder, and Cathy Savage; all whom I admire greatly. If you were to scroll through my recent podcasts you would absolutely find the following people: Lewis Howes, Chris & Lori Harder, Tony Robbins, Gary Vaynerchuk, Andrea Owen, and Oprah’s Super Soul conversations. On my bookshelf: a bunch of the same leaders mentioned above, in addition to Brene Brown, Jen Sincero, Gabrielle Bernstein, Don Miguel Ruiz, Mark Mason, Simon Sinek, and Jack Canfield just to name a few! I have been very fortunate to have traveled a lot throughout my life. It’s really hard for me to pick a favorite place because they have all been so different. I also have found that during different points in my life I enjoy and search for different things; not to mention, certain places may offer more sight seeing, some may be more focused on adventure, and some maybe on relaxing. That being said, I studied abroad in Australia during college and stayed a bit longer than my semester. The people, culture, weather, and landscape were all in incredible. Australia will always hold a special place in my heart, I did a lot of growing up there and it was coming back home that finally triggered my decision to overcome my eating disorder and live a truly healthy life. So, while I can’t say enough amazing things about Kenya and going on safari, or how wonderful it was to travel through Europe, how truly gorgeous Hawaii is, or how breathtaking our National Parks are right here in the states, Australia wasn’t just a vacation or destination for me to visit. It played a huge roll in me becoming a stronger, more confident, and independent woman (oh, and a surfer)! My favorite products, items, tools… Well, I’m very much “type A”, a planner, a lover of all things school supplies; so, my old school paper planner is my life. I wouldn’t be able to keep my head straight without physically writing down my appointments, goals, reminders, notes, you name it. I literally never leave home without that little “day designer”. Much like the rest of us admittedly, I am also reliant on my iPhone. I think we can all relate. There is something to be said for technology! I’m also obsessed with my wireless headphones during my workouts, my superfood meal replacement protein shakes that I’ve been drinking twice a day for the last four years (hello convenience and goodbye to hours of food prep), my foam roller for recovery, and backpacks because living in NYC means you take your life with you everywhere! My passion has always been with health and fitness. I love everything from reading and learning about it, to cooking and trying new recipes, and mostly running around, playing, and testing my body physically. After our recent move to NYC I have been trying to take advantage of all the incredible classes/boutiques the city has to offer. I’ve been really loving taking unconventional fitness classes aerial silks, trapeze, and lyra at circus school. I’ve been tumbling at Chelsea Piers, rock climbing, boxing, and just trying to keep my workouts fresh so I stay motivated and educated on what’s out there. Aside from fitness, my passions still lay in the industry, but are more food and wellness related. I’ve lived a fully plant-based vegan diet for the last 15 years and now that it’s become more popular, almost trendy, I’m finding that I’ve become a “go to” person for people to ask for guidance and coaching. Through that, I’ve found myself testing out new recipes, experimenting in the kitchen more, and researching how/why certain foods make us feel a certain way. Once again, finding how to heal ourselves from the inside out! I also really enjoying going out dancing with friends, exploring the city with my husband, playing with our two puppies, traveling, going on adventures (like hiking, rafting, etc), meeting new people who have common interests (hence FITtrips), and anything that involves home design/fashion (specifically athleisure). I actually did one year at The Fashion Institute of Technology for accessory design after graduating undergrad for Kinesiology. I always love working on a good project, whether it’s making jewelry, designing clothing, or re-decorating our apartment. I’ve slowly been building an entire apparel/accessory line on zazzle.com for all things FITtrip related. Our squad needs to represent!